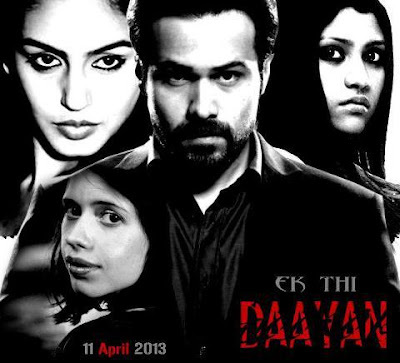 Before the Daayan comes to HAUNT YOU here's the exclusive Photoshoot of Ek Thi Daayan with Emraan Hashmi , Konkona Sen , Huma Qureshi and Kalki Koechlin. 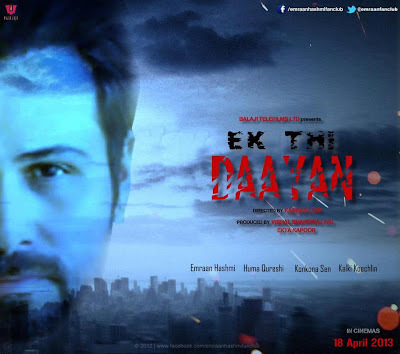 Ek Thi Daayan, marks the first ever association of two creative powerhouses - Ekta Kapoor and Vishal Bhardwaj.Directed by Kannan Iyer, film stars Emraan Hashmi, Kalki Koechlin, Konkona Sen Sharma and Huma Qureshi in lead roles. Prepare to be haunted on 18th April, 2013!